FRONT CLOTH BUCKET WITH (KA1) HEATED SEAT CUSHIONS AND SEAT BACKS. 1 Owner! Very well kept and sharp GMC Sierra Crew Cab! 5.3L V8! Z71 Package! Heated seats, rear camera,Bluetooth, tow package and more! Priced well below retail value! Carfax certified accident free! 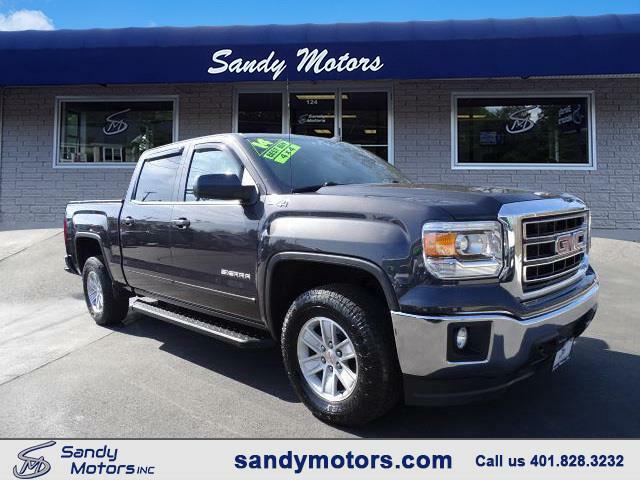 This GMC wont last, come check out this Sandy Motors certified truck today!